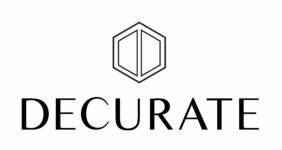 Decurate is a London-based interior design studio working on the renovation and refurbishment of residential and boutique commercial properties in the UK and abroad. Led by Nadine Attar, we are passionate about great design and favour a practical approach to both contemporary and traditional design, with an emphasis on space planning, to create timeless spaces that fuse charm and character with function and ease. We design comfortable, layered and inviting spaces, blending custom construction, well-crafted furnishings and carefully considered details to curate the perfect space, whatever the scale and budget. Every space and client is unique and we strive to approach each project with this in mind. We believe in personalised spaces designed in a creative and cohesive way, and work collaboratively with our clients to meet their brief with creative and effective design solutions. Throughout the process we provide our clients with creative direction, development advice and design expertise and oversee our projects from inception through to completion. We are also able to recommend architects for construction drawings and planning expertise as required. Our soft furnishings, lighting, artwork, one of a kind objects and antiques are globally sourced, and we design bespoke furniture and cabinetry. Educated in both Interior Design and History, and with a PR background, Nadine is also a keen traveller. Her travels provide a rich source of inspiration for her work, while an element of English country house style is also evident. Nadine is a member of the British Institute of Interior Design and Decurate’s work has been featured in national and international publications including House & Garden, Refinery 29 & British Vogue.